Hey there! I am so excited to be back again with another card to share with you all. Thank you for stopping by. I wanted to share something very simple with you this time. 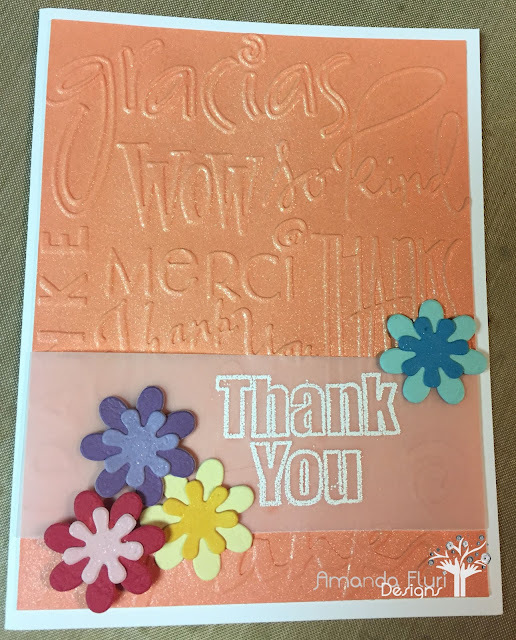 I wanted the embossing folder to shine through and speak for itself. I love this folder and how its got Thank You/Thanks in various languages. I also didn't want to add to much to distract from this, so I added a couple small flowers, and that basically finished off the card. Again I tried to stick in the same colour family as oranges, and went with a coral for this card, which isn't something I use often, but its for sure a colour that you are going to see me use more of in the future, because it really is so pretty, and such a happy colour. Ranger Matte medium - used to attach a couple of the flowers, and the vellum piece to the front of the card. Thanks for stopping by, I hope to see you all soon! Please feel free to leave me some love in the comment section below, and check back real soon for some other exciting cards that will be coming your way! Next up... I will be taking a break for a card or two and showing you a Christmas card, and then a couple ATC's that Ive made for a group that I'm trading with. More info on what ATC's are at that point! My name is Amanda and I am 27 years old. I first began scrapbooking pages and trying to learn/teach my way through it. I then decided to join a local crop night and learned how to put together various page layouts and how to use different tools and techniques. I then moved away to school. I searched for a stress release while I was away and stumbled upon Under Construction Stamps, and the owner (who now is basically my 2nd mom) taught me tons. 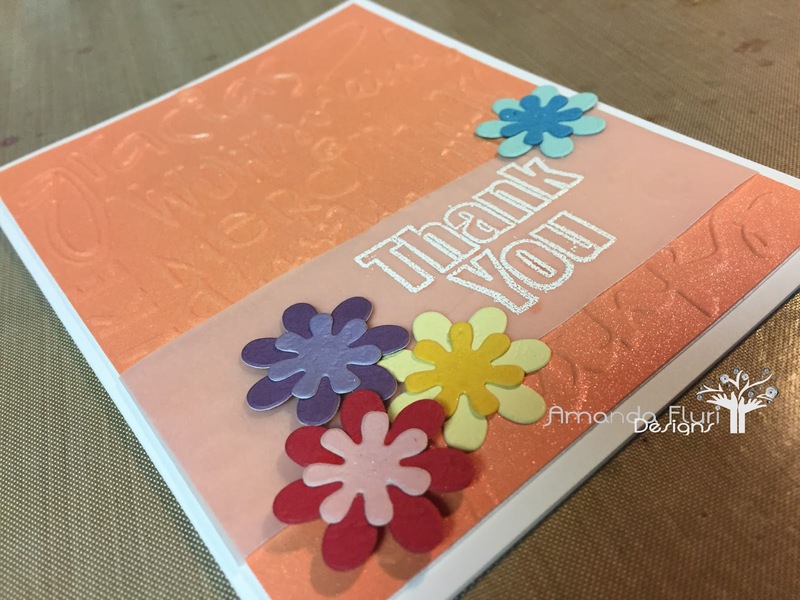 I took card making classes, book classes, etc and LOVED every minute of it. 2009 was when I was first introduced to wood mount rubber stamps, and from there it became a hobby and an addiction in a sense. I have been making cards to give to family and friends since 2009 and recently I have been making a lot of commission cards for friends, family and people in the public. I love what I do and this blog is a way of helping to inspire others as well as showing off incredible stamp images from some very talented and incredible designers.